Lawrence McCrea currently serves as the Director of Business Development for Hospice of the Chesapeake. He joined the organization in November 2016. McCrea leads a team of professionals that focus on all aspects of the organization’s business development, marketing and referral outreach. McCrea has 20 years of leadership, business development and sales experience throughout multiple healthcare sectors including home health and pharmaceutical. 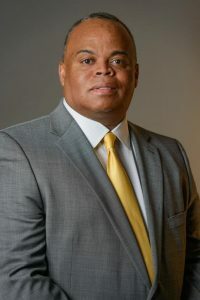 Prior to joining Hospice of the Chesapeake, McCrea held executive and management roles with the Adventist Healthcare System in Montgomery County, Maryland. He holds a Bachelor of Arts degree in Telecommunications Management from Howard University in Washington, DC.